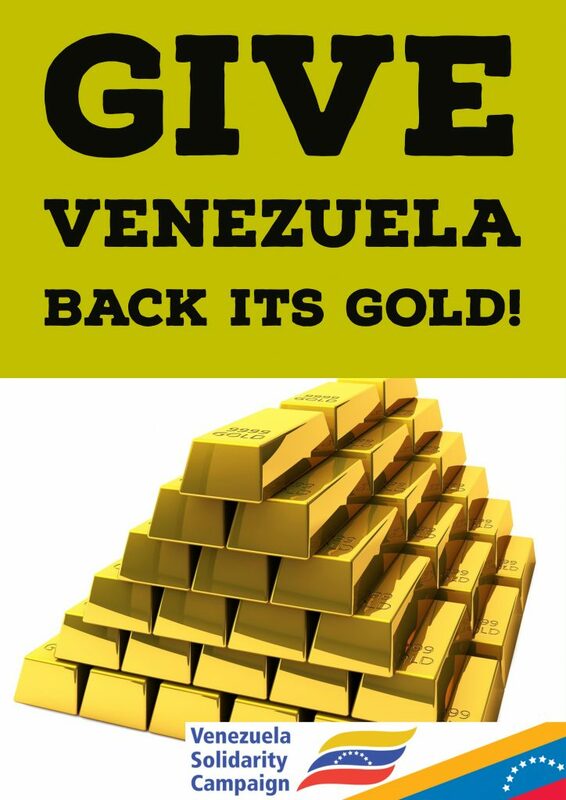 Sign the petition to Theresa May: Give Venezuela Back Its Gold! We condemn the decision of the Bank of England to refuse to return to Venezuela billions of dollars of its gold deposited there. This echoes the decision of Donald Trump to impose tough economic sanctions on Venezuela to try to enforce unlawful regime change. The Venezuelan gold deposited in the Bank of England is the property of the Venezuelan people, not British banks. Preventing its return, like all such sanctions, only hurts the poorest in Venezuelan society. Britain should not be aiding the Trump administration in imposing sanctions and regime change. Instead it should be promoting dialogue and negotiation to reach a peaceful and longstanding settlement in Venezuela as advocated by the Mexican and other Latin American governments. We call on the British government to act honourably and make clear to the Bank of England that this gold must be returned to its rightful owners – the Venezuelan people.